November is Thanksgiving time and most of us will be celebrating with a turkey dinner. Did you know that the Native American Indians were raising turkey as far back as 1000 A.D. ? Did you know that the Aztecs, of Mexico, were raising turkeys even earlier, about 200 B.C. ? Did you know that the state of Minnesota raises more turkeys each year than any other state? An estimated 46 million turkeys are raised in Minnesota each year! 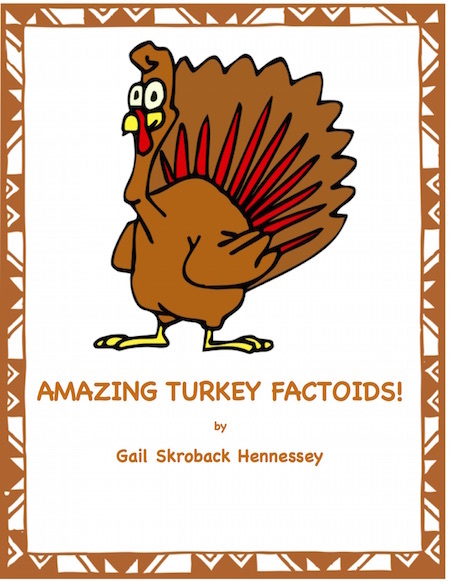 Share these fun factoids on the turkey with family and friends! 1. Did you know that Ben Franklin wanted the turkey as our country’s national symbol? Some say he just said it was “more respectable” than the bald eagle! 2. For short distances,wild turkeys can fly up to 55 mph and run up to 25 for short distances. Domesticated turkeys are usually too heavy to fly...at all! 3. If you get up close to a turkey, they don’t have any external ears BUT still have a great sense of hearing! 4. The only breed of poultry native to the Western Hemisphere is the turkey. 5. If you are wonder what a group of turkeys is called, it’s a flock. A baby turkey is called a poult(or goblet). Groups of turkeys are also called rafters. 6. Only male turkeys can gobble! Females make clicking sounds. food. This part of the stomach is called the gizzard. 8. Someone counted that a turkey has about 5,500 feathers! Eighteen make up the tail fan of a male turkey. Another source says they only have about 3500. That’s still a lot of feathers! 9. The flap of skin under a turkey’s chin is called the wattle. 10. Called the snood, the flap of skin over the turkey’s beak can turn different shades of red depending on the turkey’s mood. 11. The month of June is called National Turkey Lovers’ Month. 12. Find droppings of a turkey? Did you know you can tell whether it was left by a male or female? Female turkeys leave behind droppings looking like the letter J and a male turkey’s dropping are spiral shaped. 13. Did you know that after walking on the surface of the moon, in 1969, Neil Armstrong and Buzz Aldrin ate roasted turkey? 14. Guinness Book of Records says a whopper of a turkey tipped the scale at 86 pounds. 16. Wishing on the wishbone of a turkey is a tradition at Thanksgiving. The person getting the largest part supposedly gets their wish granted. 17. The idea of a president pardoning(sparing) the life of a turkey is credited with President George H.W. Bush. The first official pardon was given in 1989. 18. Only male turkeys parade their fan of feathers(like a peacock). 19. Some people make turducken at Thanksgiving. This is a turkey which is stuffed with a duck that is stuffed with a chicken! 1. Illustrate/color a turkey fact. 2. Pretend you are a turkey. Write a persuasive paragraph stating why people should eat chicken, fish or beef instead of you! 3. Use the vocabulary words in a sentence. 4. Name 5 countries (other than the U.S.A) found in the Western Hemisphere! Write TWO facts that you may know about each of the countries listed. 5. Have small groups of students make 4 factual statements about turkeys and 4 opinion statements about turkeys. Exchange and have another group determine which are facts and which are opinion statements. 6. Write a poem using each letter of the word, TURKEY. Visit my website for teachers/kids(lots of free materials in geography, career surveys, factoids on different topics, news, bell ringers and more. Click here for user friendly version of this activity. 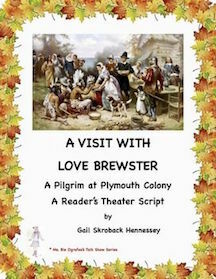 A Visit With Love Brewster: A Pilgrim at Plymouth Colony(A Reader’s Theater Script): A Ms.Bie Ograffee Reader's Theater Script, an interview with Love Brewster, a Pilgrim of Plymouth Colony.Love was an actual member of the 102 Pilgrims that came to America. He was about nine years old. The play includes info on Mayflower, first winter and Thanksgiving feast. 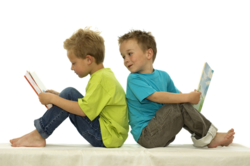 Fun facts,Comprehension questions, extension activities, links. 2. 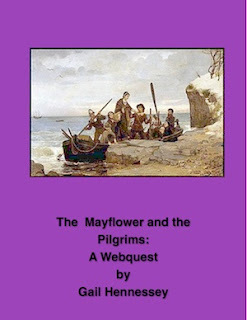 Mayflower and Pilgrims: A Webquest: Learn about the Mayflower and the Pilgrims with this informative web quest!There are ten informative text web quests,extension activities,fun facts. Skills include:reading for information and using research/computer skills. 3. 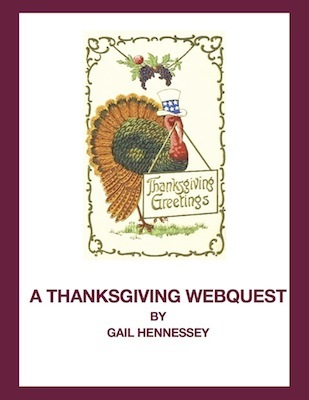 Turkeys and Thanksgiving: A Webquest: Want a fun and informative activity to teach your students about the history of Thanksgiving?This webquest has ten informative text questions on the history of Thanksgiving(including the Macy's Day Parade). TURKEY facts,too!